The “Diversity Leadership Council” at Gustavus Adolphus College has admitted to posting racially offensive posters around campus after the school’s Bias Response Team received multiple reports on the matter. 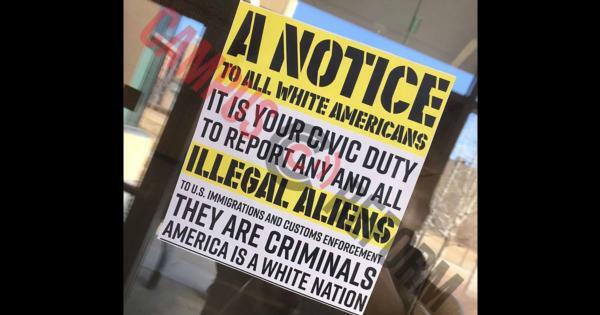 The signs urge “all white Americans” to report “any and all illegal aliens” because “they are criminals,” saying “America is a white nation” and it is the “civic duty” of such Americans to turn in illegal immigrants. 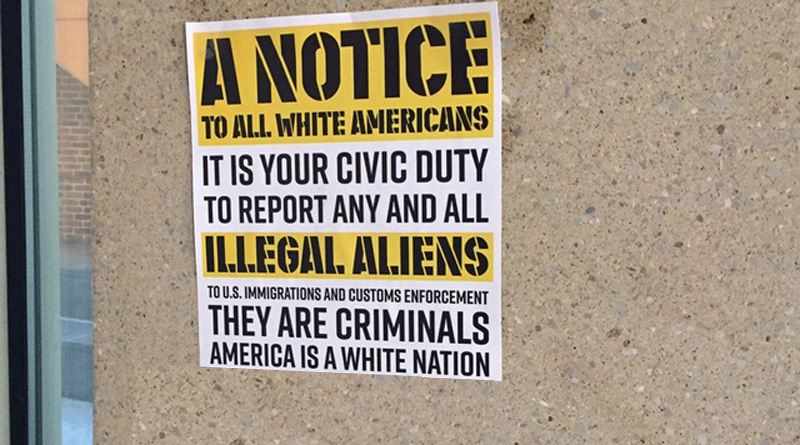 Provocatively declaring that “America is a white nation,” the flyers assert that it is the “civic duty” of white Americans to turn illegal immigrants in to law enforcement. One alumna even posted on Facebook that her cousin had discovered the signs at Beck Academic Hall and reported it to the school’s Bias Response Team, remarking that “it isn’t much of a surprise something like this was posted” at that particular building. In response to the outrage over the flyers, the Diversity Leadership Council published a statement the night the posters surfaced admitting that members of the organization had “posted these signs” in “an effort to help educate [their] peers and campus community about issues of bias, and the importance of being an active bystander. Many commenters, though, duly pointed out in response to the statement that the alleged social experiment likely caused more harm than good. Campus Reform reached out to the Diversity Leadership Council’s faculty advisor, Kenneth Reid, but did not receive a response in time for publication. 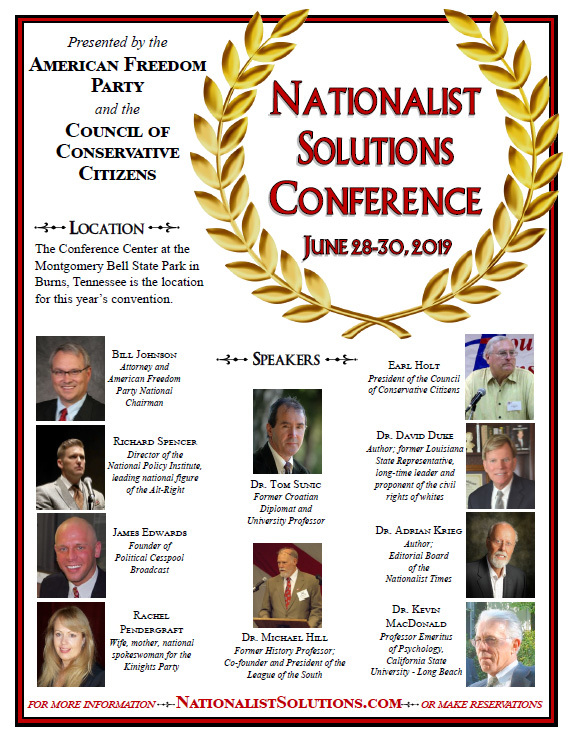 Actually the flyer posted by the “Diversity Council” does not have the web address nor the telephone number of Blood and Soil. My mistake. Another case of THE TRUTH deemed racist, by TRULY racist liberal foreign COMMUNISTS which seem to fill our Universities, who yes, ALL OF THEM ARE ACTUALLY IN AMERICA ILLEGALLY! There actually is an organization named BLOODANDSOIL.ORG. What do they say about this? What CAN they say in Marxist America? Why are these truths shared in that poster, whoever created it, SO misunderstood and neglected? What is the true agenda in these communist college…..goons plastering our names and THESE FACTS around town? I’d like to see the other sides, OUR SIDES defense in all this! Blood and Soil denied posting these flyers. Also the actual flyer used does not have the web address… I corrected that. Sorry for any confusion. Lethal Opiates Delivered By Mail From China, Killing Many White Addicts In The U.S.